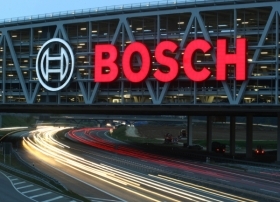 HANNOVER, Germany -- Bosch Automotive is seeing renewed interest in diesels from U.S. and Japanese automakers that had shelved such projects during the recession. Rolf Leonhard, executive vice president of engineering for diesel systems, said "a lot of diesel projects were stopped due to the crisis." German automakers pushed ahead with diesel models in the United States, seeing an order rate of 25 percent to 40 percent compared with gasoline versions of the same vehicle, he said. "We see now a lot of diesel projects for the U.S. that are in the stage of coming to a conclusion -- serious projects," Leonhard said. High order rates on vehicles such as the Volkswagen Jetta TDI and Ford's new diesel for the F-series heavy-duty truck are motivating other automakers to reconsider diesels, he added. Bosch had predicted a 15 percent share for diesels in the United States by 2015, but that was derailed by the recession. He now says diesels will hit that mark, but the time frame is uncertain. "The German carmakers are there with diesels, and the others will follow, also Japanese carmakers," he said. "They all stopped projects during the crisis."